In bleak January, just when it seems like the sun won’t ever stay up past 4:30 p.m., the temperature won’t rise above freezing, or the permacloud won’t lift, Mother Nature bursts forth with one of winter’s greatest gifts: citrus. 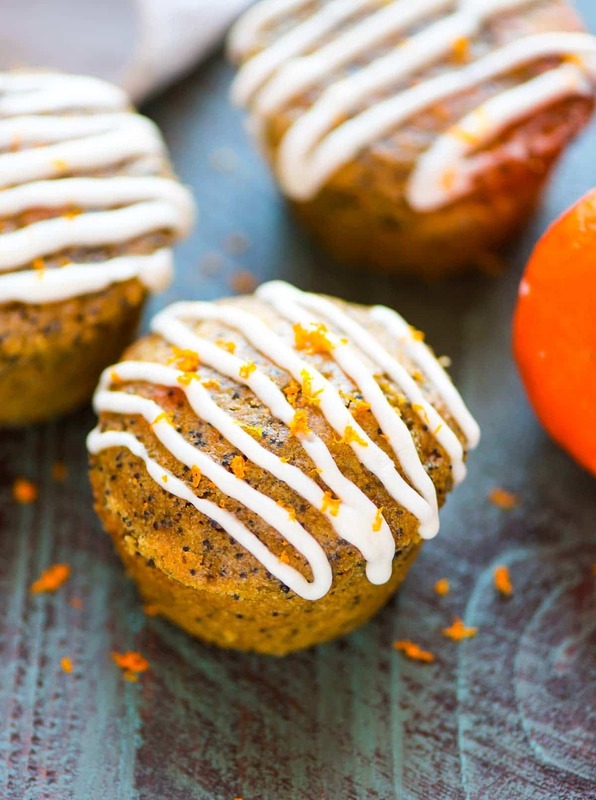 These cheery Orange Muffins with Poppy Seeds are full of lightness and brightness, two happy qualities that my sleet-worn soul needed desperately this week. After spending three magical days enjoying winter at its finest while downhill skiing at Deer Valley, Ben and I arrived home to a work week of winter at its worst: drizzling sleet, harsh winds, and a sky so gray you could name a tragic film after it. If someone were writing a script for the stereotypical harsh transition back to reality after vacation, it would have taken place this week. 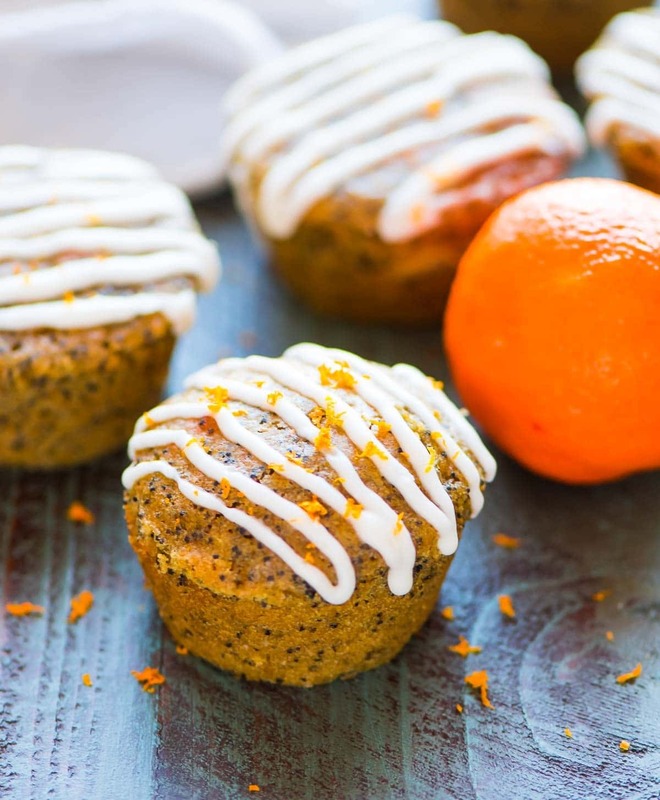 A twist on classic lemon poppy seed muffins that swaps the lemon for orange, these lively Orange Muffins offer a jovial burst of sun on even the dreariest winter day. Although you can find citrus year round, it’s at its prime in January and February. Isn’t it marvelous that at the time when your soul most needs an orange muffin (ahem, now), oranges are also at their peak? Per usual, I picked up the ingredients for these Orange Muffins at Pick ‘n Save, my local grocery store with which I partner to create fresh monthly recipes. The selection of citrus was enormous! I opted to keep these muffins classic with naval oranges, but they’d also be delicious with grapefruit, blood orange, and, of course, with lemon too. 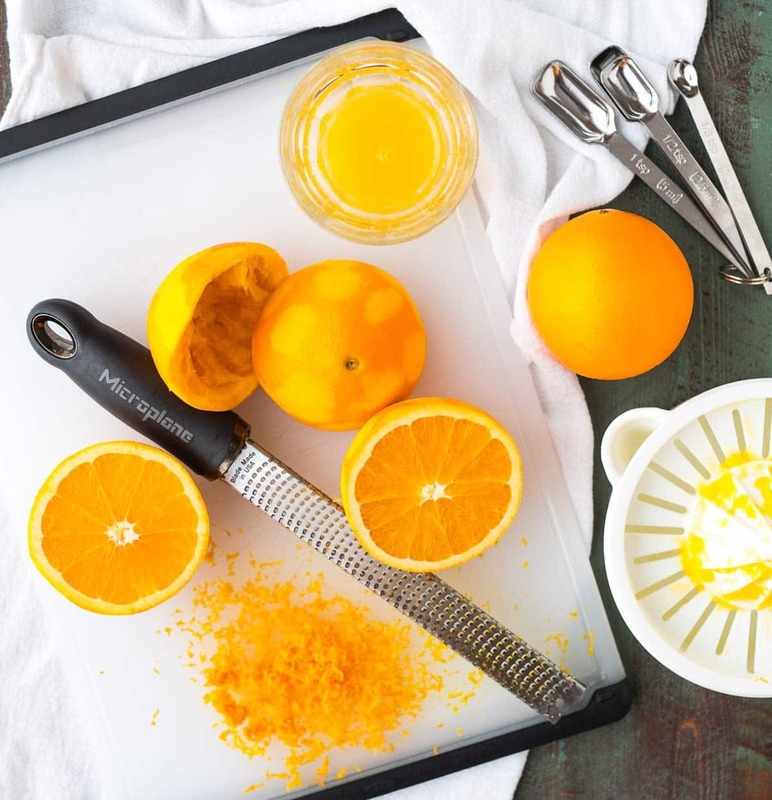 For maximum orange flavor, this recipe calls for both orange zest and orange juice. Pro tip: if you blend any citrus zest (lemon, orange, lime, etc.) into the sugar before you add the other ingredients, it activates the zest’s oils, intensifies its flavor, and makes your fingers smell quite nice too. To make the Orange Muffins extra moist, tender, and even healthy, I replaced most of the butter with Greek yogurt. The yogurt makes the muffins taste incredibly decadent while keeping them low in fat. A touch of almond extract pairs delicately with the orange. 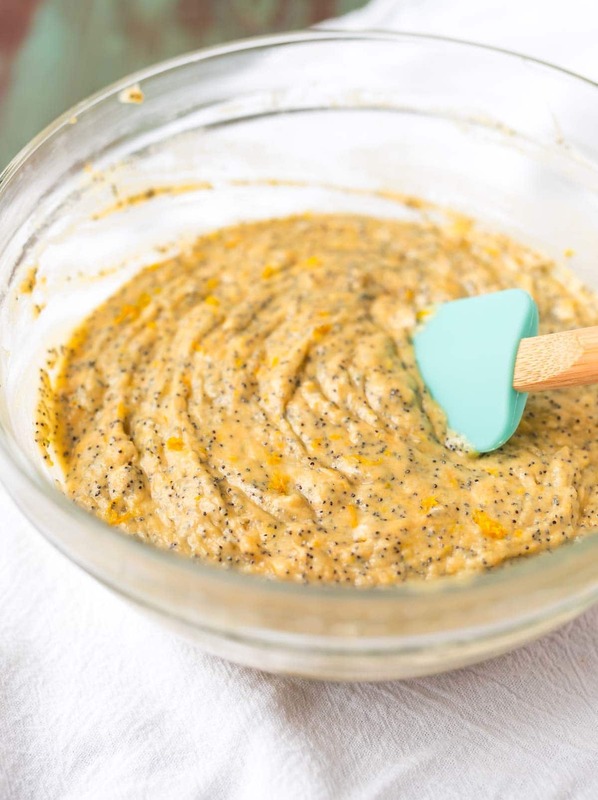 While the poppy seeds aren’t required, they are super fun and make for a refreshing riff on the more common lemon-poppy seed combo. I finished the Orange Muffins with a sweet vanilla glaze. The glaze is delicious, but if you prefer to omit it or you like your breakfast goodies to be less sweet, the Orange Muffins taste lovely without it. 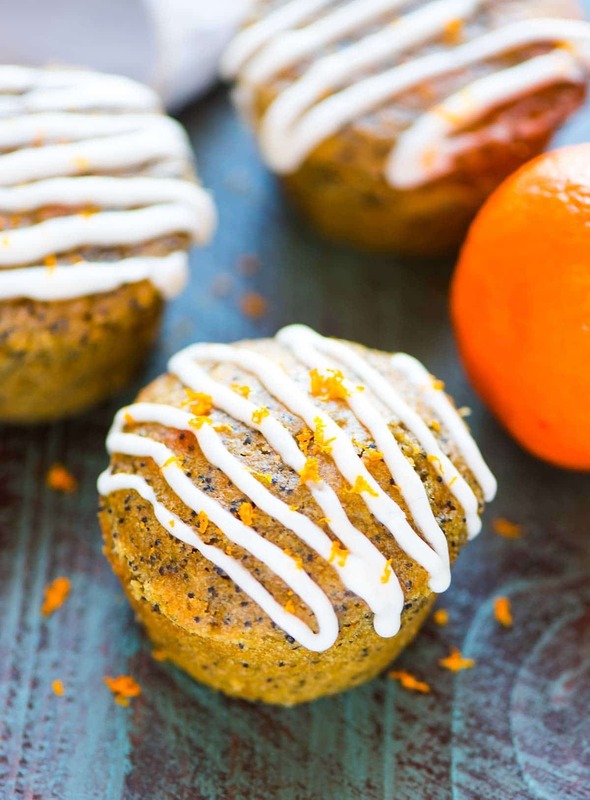 Greek Yogurt Orange Muffins with Poppy Seeds and Sweet Orange Glaze. Moist and fluffy! Healthy recipe that’s perfect for easy breakfasts and snacks. Preheat the oven to 375 degrees F. Lightly coat a 12-cup muffin tin with cooking spray or line with paper liners. Place the sugar in a medium mixing bowl, then zest both oranges directly into it. Rub together the sugar and orange zest with your fingers, until the sugar is fragrant, moist, and light orange throughout. Stir in the flour, poppy seeds, baking soda, and salt. Juice the zested oranges and set aside 1/3 cup plus 1 tablespoon for the muffins and 2 tablespoons for the glaze. In a separate bowl, whisk together the eggs, Greek yogurt, milk, butter, vanilla extract, almond extract, and 1/3 cup plus 1 tablespoon orange juice. (All of these ingredients do need to be as close to room temperature as possible, or the butter will resolidify. If you don't have time to wait, use canola oil or a very light tasting olive oil, which will stay liquid.) Add the wet ingredients to the dry ingredients and mix gently by hand, just until combined. Do not overmix. Divide the batter among the 12 muffin cups, filling three-quarters of the way to the top (I like to use a big cookie scoop for the tallest, fluffiest muffins). Bake 12-14 minutes, until the tops are dry and spring back lightly when touched and a toothpick inserted in the center comes out clean. The muffins will look a little flat but will still be perfectly moist and delicious. Let cool 3 minutes in the pan, then gently transfer to a wire rack to cool completely. For the glaze, melt the butter in a small saucepan or in the microwave in a microwave-safe bowl. Whisk in the powdered sugar, vanilla, and 1 tablespoon orange juice. Continue adding juice, 1 teaspoon at a time, until your desired consistency is reached. Drizzle over the top of the muffins. Enjoy warm or cooled. Store leftover muffins according to this guide. I am sharing this post in partnership with Pick ‘n Save. As always, all opinions are my own. Thanks for supporting the brands and companies that make it possible for me to continue sharing quality content with you! For more recipe inspiration, you can follow Pick ‘n Save on Facebook, Pinterest, and Twitter too. I love your writing style and these muffins sound divine. Once I can find poppy seeds, I’m giving these a try. Thanks for lifting my day and painting such a vivid sunshiny day! These do sound heavenly without a doubt. We used to spend part of the winter in Ft. Myers and had friends who had grapefruit and orange trees. I LOVE oranges and I can tell you that I was in pig heaven! Funny story though – my husband is an ironworker by trade and they do random drug testing as a safety precaution. Poppy seeds show up on those tests as an illegal drug – not a good thing when you do that kind of work. He always avoided them, of course. Will definitely be trying this recipe. Have a warm weekend. I can’t even imagine how wonderful and fresh that fruit must have tasted Chris! And thanks for the heads up on the poppy seed. I’d actually heard that before, but it’s good to be aware. Fortunately, you can leave them out and the muffins will still be delicious! Sounds delicious and I love that it’s with greek yogurt. If you make them with lemons instead, is the amount of juice required the same? Thanks! Yes Justine! You can use the same amount. I hope you love the recipe! These were so great! The only problem I had (nothing to do with the recipe) was my baking soda. I didn’t realise that it was too old so my muffins didn’t rise :( always ensure you have fairly “fresh” baking soda BUT they tasted delicious. Within 10 minutes of coming out of the oven, 6 were gone. That’s a great reminder, Reenu. I’m so glad you enjoyed the muffins regardless! Thank you so much for taking the time to leave this wonderful review! I made these muffins last week and they are absolutely amazing! So much flavor in every bite, a perfect anytime snack! They were quick and easy to make and everyone loved them!!! 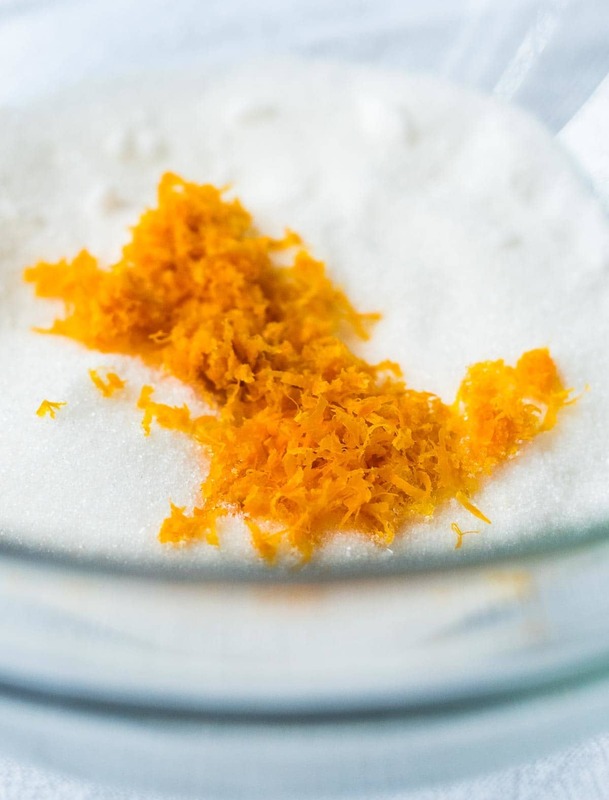 Great tip about mixing the zest with the sugar, it really brought out the orange flavor. I also stored them using paper towels lined at the bottom like you suggested in a previous post and they stayed fresh and delicious all week! You are always my go to/1st stop whenever I am looking for something to make! I really appreciate that you use ingredients that add nutritional value where possible such as yogurt and whole grains. When I made the muffins my husband was like “are those from your friend Erin!” joking obviously because he knows 90% of the time i am making a dinner/side dish/ dessert recipe from your site! He even went to your site and made the lemon layer cake for my birthday! (Delicious of course!!!) Thanks for all the great recipes Erin! Tracy, I’m blushing! Thank you so much for your kind words about my site and recipes! I’m happy to hear you love the muffins (and the lemon cake! ), and I so appreciate your taking the time to leave this wonderful comment. Thank you!! Just make this and used lemon .wow it come out great and also used maple suger in plce of white sugar . Thank Erin. I love all your recipes. Thanks for taking the time to share your swaps, Milene! I’m so glad you enjoyed the muffins! I’d like to make these but seem to have run out of the white whole wheat pastry flour. I have white pastry flour and a multigrain blend….wonder if I can somehow blend the flours to make this and still be ‘healthy-ish’. I think you could give it a try, Ana! Often a blend of half all purpose and half whole-grain still has a lighter taste but gets some of the whole-grain nutrition in there. I haven’t tried that blend myself, but I think it’d be worth a shot! Thank you for posting this lovely recipe. I am just wondering can I add in some of the orange juice and if so how much? Hi Priya, check out step 2! After you zest the oranges, you set aside 1/3 cup plus 1 tablespoon of the juice for the muffins and 2 tablespoons for the glaze. I hope you enjoy the muffins!